One of Miami’s oldest neighborhoods, Coconut Grove is in the midst of a revival, growing from (as advertised) “Birkenstock to Billionaires,” with an influx of higher-end dining and shopping destinations, yet still maintaining its old-school charm. Among the luxury residential projects giving the Grove a kick in the class is the Terra Group/Related Group joint venture Park Grove, a 260-unit, three-tower development with residences priced from $2 million and an Enzo Enea-designed sculpture park and a restaurant by Michael Schwartz among its amenities. 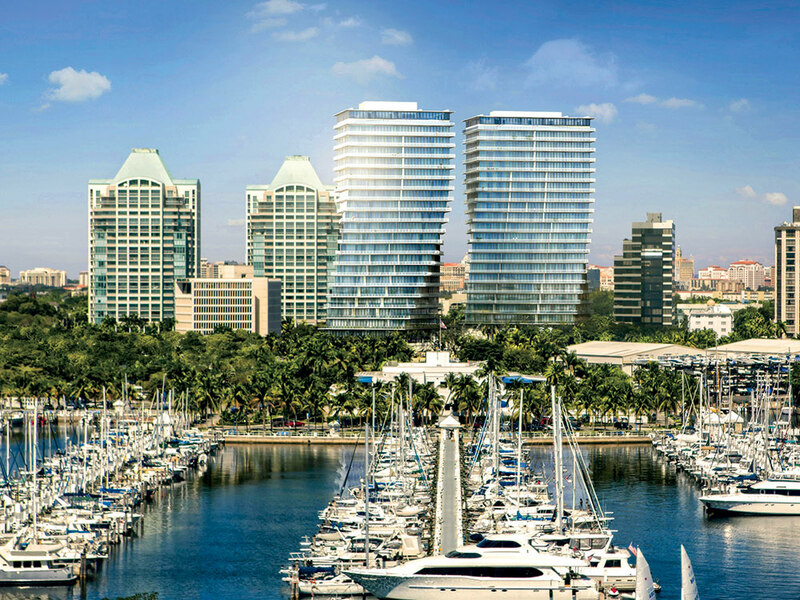 “Park Grove is the missing piece that will not only fill that void for needed ultra-high-end luxury condos but also fuse CocoWalk and other retail sectors,” says Dan Hechtkopf, director of luxury sales at Douglas Elliman, of the project, set for completion near the end of 2017. Terra Group’s Grove at Grand Bay, which is set to be completed this summer, offers five pools, a pet spa, a personal chef creating weekly menus, private elevators to each of the 98 units, and lush gardens from landscape designer Raymond Jungles. Flavor central: Enjoy craft beers and grass-fed-beef burgers topped with guava jelly or with doughnuts as buns at the eco-friendly Lokal (3190 Commodore Plaza, 305-442-3377), French fare at Le Bouchon du Grove (3430 Main Hwy., 305-448-6060), or ceviche and a diverse selection of Mexican and Peruvian cuisine at Jaguar (3067 Grand Ave., 305-444-0216). New in town: Located in Peacock Park, Glass & Vine (2820 McFarlane Road) serves a mean raw scallop “Waldorf,” while Spasso (3540 Main Hwy., 305-441-0219) is the new buzzed-about Italian restaurant in the Grove. Rock like a hurricane: A luxury condo boom doesn’t scare the college kids, who can be found downing Fireball shots at Tavern in the Grove (3416 Main Hwy., 305-447-3884) and Sandbar Sports Grill (3064 Grand Ave., 305-444-5270). McFace-lift: Miami architect Bernardo Fort-Brescia renovated the Engle Building at the corner of McFarlane Road and Main Highway and welcomed splashy new tenants, including Harry’s Pizzeria (2996 McFarlane Road, 786-655-0121) and Panther Coffee (3407 Main Hwy., 305-677-3952). Street art: The Coconut Grove Arts Festival may be one of the largest art festivals in the country, welcoming 120,000 people every Presidents’ Day weekend, but a real Grove vibe can be found at the Gifford Lane Art Stroll. Come for the 70 artists on a 100-yard block; stay for the spiked cucumber punch. Going Green: The Kampong (4013 Douglas Road, 305-442-7169), the former estate of David Fairchild, features an array of exotic plants, flowers, and fruit trees. It’s also where Pharrell Williams got married. Bejeweled: From the Italian fine jewelry at Lucifer Vir Honestus boutique (3300 SW 27th Ave., 786-577-0858) to H&H Jewels (3434 Main Hwy., 305-442-9760), Coconut Grove is a jewelry lover’s dream. History lessons: A National Historic Landmark, Vizcaya Museum & Gardens (3251 S. Miami Ave., 305-250-9133) is home to 2,500 art objects and furnishings, a 2,000-specimen orchid collection, 10 acres of gardens, and some of the best black-tie parties in town. What’s up, dock: The 582-slip marina at Dinner Key (3400 Pan American Dr., 305-329- 4755) is like a year-round boat show and the one-time home to Pan Am’s seaplanes. Staycation: Spend the night in one of the 115 guest rooms at The Ritz-Carlton Coconut Grove (3300 SW 27th Ave., 305-644-4680) and enjoy a warm stone massage at the luxury spa before taking a dip in the heated lap pool.